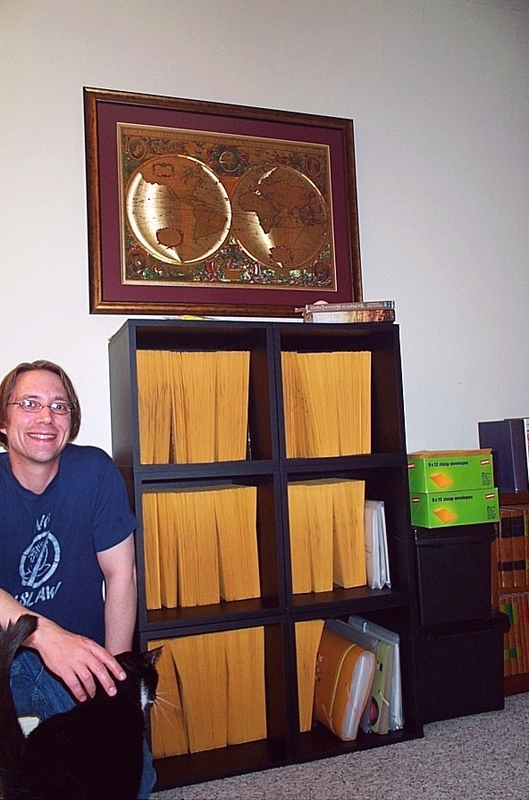 I actually managed to rid myself of one of the file boxes seen piled on the right. Plastic albatrosses. I think I need to buy a couple of more stackable cubes, too, when I have the spare change. They're cheap, but shipping's a killer. Also, I've been steadily finishing bringing the Henry Reed pages up to date, even as I'm considering redesigning and upgrading to version 3.0. The site's getting a little tired, and starting to show its age, don't you think? Most recently, I edited Roger Savage's lengthy chapter from British Radio Drama, "The Radio Plays of Henry Reed," adding page numbers and the all-important appendix, which lists almost all of Reed's radio dramas and their dates of broadcast. Currently, I'm still waiting for Amazon.com to ship me two copies of the new, paperback edition of the Collected Poems. Their estimated date of shipping is not until October 11th! 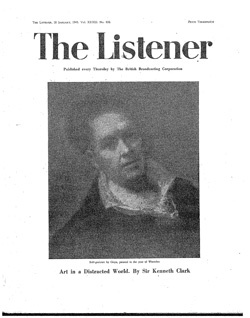 In early 1945, Henry Reed wrote a set of two articles for The Listener in which he took stock of the poetry produced during the Second World War: "Poetry in War Time." These essays are important for two reasons: first, because they offer a glimpse of Reed as an emerging critic, writing about his friends and influencers; and secondly because the criticism offered is absolutely contemporary, and written by a peer (or at least, a promising hopeful). Many of Reed's finer poems were first published in journals before 1945, including "Sailor's Harbour," and "Chard Whitlow" (The New Statesman and Nation), "Chrysothemis," and "Philoctetes" (New Writing & Daylight), and "A Map of Verona" (The Listener). Reed, however, had only published a mere handful longer pieces of criticism prior to "Poetry in War Time": "The End of an Impulse" (on Auden, Spender, and Day-Lewis) in the summer of 1943, and critiques of Edith Sitwell and T.S. Eliot in 1944. The two poets of the 'thirties who have best succeeded in being also poets of the 'forties are Louis MacNeice and Cecil Day Lewis. They have always had great curiosity and initiative in exploring new musical possibilities for the lyric. Some of their earlier experiments do not wear well: the effects of MacNeice's 'The Sunlight on the Garden', for example, or some of the curious early poems of Day Lewis, where one finds the rhymes put at the four corners of a stanza like stones holding down a table-cloth at a breezy picnic. In MacNeice's Plant and Phantom and in his poems published since, flashy wantonness has all but disappeared. The final 'Cradle Song' in the volume is very haunting; and some of his later topical poems (for example 'Brother Fire') have shown an honesty and calmness of approach unusual in war-time verse. 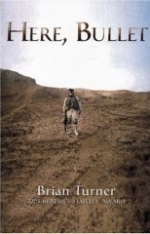 Next, we'll continue with Part II of Reed's essays on poetry in war-time: "The Younger Poets."